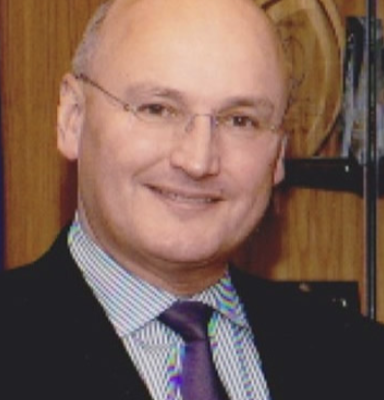 Children’s charity Embrace Child Victims of Crime (CVoC) is pleased to announce Sir Paul Stephenson QPM as its new Chair of Trustees. Former Metropolitan Police Commissioner Sir Paul succeeds Richard Bobbett, retired Chief Executive of former telecoms company Airwave, who stepped down in June after six years in the role. Embrace CVoC is the only national charity that is solely focused on supporting children who have been the victims of serious crime and their immediate families. It supports thousands of young people each year including those harmed by serious violence, including terrorism offences, sexual abuse, and cyber crime. Sir Paul had a highly distinguished career as a police officer over more than 35 years, holding senior command positions in Merseyside, Lancashire and London. In his role as Metropolitan Police Commissioner (2009 to 2011) he was the most senior police officer in the UK and advised on issues ranging from counter terrorism to serious organised crime and national police improvements. Sir Paul has guided a number of charities and is currently a Trustee of Crimestoppers UK. Sir Paul said: “I am delighted to be joining Embrace Child Victims of Crime as Chair at a time in its history when its services could not be more relevant. “Each year in the UK, hundreds of thousands of children become victims of crime. Many more young lives are damaged as a result of crime within their family or among friends. We know the negative effects can ripple right through to adulthood – with people falling into a cycle of abuse or crime, or suffering substance misuse or mental health issues later on in life. “Embrace puts the young person at the heart of its services. It does fantastic work right across the country and my predecessor led ambitious plans to help even more children including through the change in the charity’s status to a charitable incorporated organisation (ICO). Embrace Chief Executive Anne Campbell said: “The children we help are among the most vulnerable in our society. We are thrilled that Sir Paul has agreed to join the Embrace team at what is a critical time when our services, especially our specialist counselling, are more in demand than ever. Our small core team of staff, joined by a growing number of associate counsellors covering England and Wales, together with a growing band of volunteer supporters means we can provide thousands of young people with support each year. “The role of Trustee chair is about leadership, scrutiny and support, and Sir Paul will bring this in bucket loads, along with a wealth of experience in the criminal justice system and collaborative working. Originally established by police in Cheshire in the wake of the 1993 terrorist bombing of Warrington which killed two children, Embrace has since helped more than 20,000 children and now offers a range of emotional, practical and cheer-up support in all parts of the UK, the Channel Islands and Isle of Man. In places where its services are fully-funded by Police and Crime Commissioners, including in Cambridgeshire, Bedfordshire and parts of London, it provides full-time Care Officers as part of multi-agency victims’ hubs and operates a ‘no wait’ policy for counselling therapy. Embrace aims to operate an integrated care service to support young victims of crime in every part of the country. It has designated October as Child Victim of Crime Awareness month, seeking to raise the profile of the long-lasting impact of crime on young people without intervention.